Starring: Ryan Gosling, Emma Stone, Rosemarie DeWitt, J.K. Simmons, John Legend, Tom Everett Scott, Callie Hernandez, Jessica Rothe, Josh Pence, Finn Wittrock, Keith Harris. The Hollywood musical has all but become a thing of the past and a genre that few filmmakers attempt anymore. If I’m honest, it’s really no loss to me. Musicals are not something that I’m overly enthusiastic about. Growing up, I remember liking Grease and contemporary ones like Baz Luhrmann’s Moulin Rouge and, especially, John Turturro’s Romance and Cigarettes were very enjoyable but, for the most part, I often overlook them. That said, with a record equaling 14 Oscar nominations and a record breaking 7 Golden Globe wins, Damien Chazelle’s follow-up to the impressive Whiplash can not be scoffed at. Plot: Mia (Emma Stone) is an aspiring actress in Hollywood struggling to catch a break. 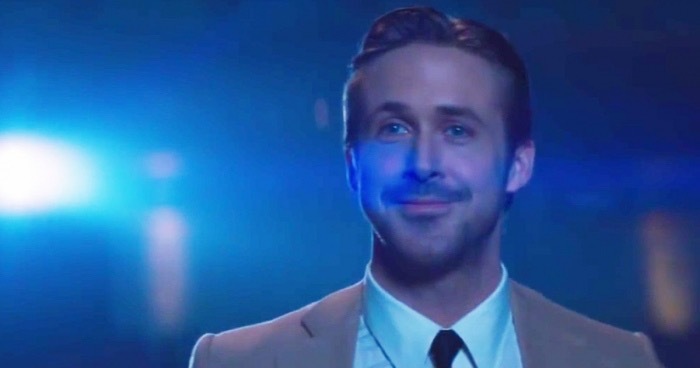 Sebastian (Ryan Gosling) is in the same boat as he dreams of getting out of playing cocktails bars and becoming a serious jazz musician. Their paths cross and as their relationship blossoms, they are faced with either stardom or holding onto true love instead. Song, dance, razzmatazz and Jazz are what’s on the menu with Chazelle’s latest. Whether you enjoy musicals or not will most likely play a huge part in your enjoyment of it, though. Technically, it’s wonderful and Chazelle has a real handle on his musical numbers and choreography. It’s also quite beautiful to behold. There’s no arguing with the style on show here as it’s quite a dazzling picture. However, there’s very little substance underneath it’s style. It suffers from a generic romantic plot and there’s a few too many musical ditties to cover up it’s glamorously dull narrative. I actually think I might have enjoyed it more had it been tighter. For a start it’s way overlong and overstays it’s welcome by a good half hour. There isn’t enough material here to warrant its 2hrs 8mins running time. In fact, Chazelle really wrings the material out at the end. To paraphrase one of my six-year-old daughter’s more unusual quips: ‘He held onto this like he was strangling a baby’s neck‘. Don’t get me wrong, though, the end sequence cleverly brings things full circle and doesn’t succumb to formula but I got the distinct feeling that Chazelle never wanted it to finish. Like a rebuffed lover, he refused to let go. And who can blame him when he’s having so much fun? I, on the hand, had had enough by that point. This being said, it is hard to be unkind to the film as there’s an obvious array of quality on display; David Wasco’s production design is a sumptuous palette of colour and Linus Sandgren’s cinematography captures it beautifully. 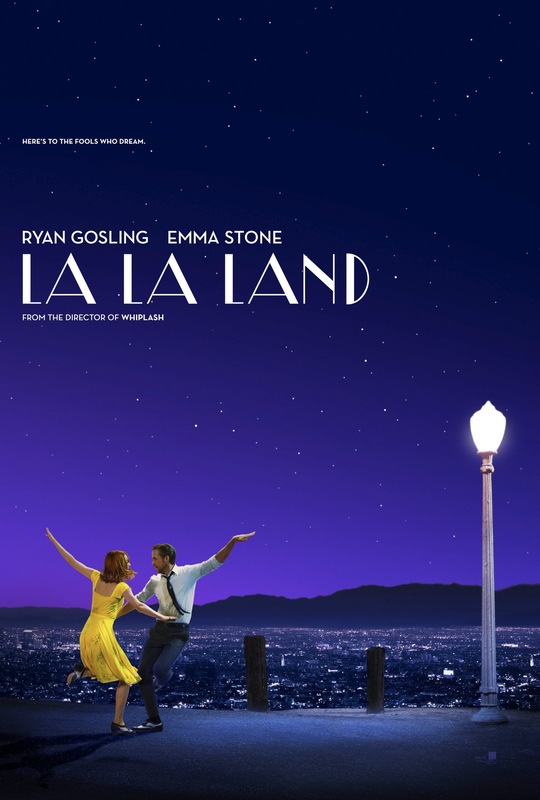 It’s also got two delightful lead performances; Gosling showcases some genuinely impressive piano skills while Stone delivers a wide range of abilities and both of them display an adeptness at their song and dance routines. Credit where it’s due, Chazelle has successfully brought the musical into the modern era with this, unashamedly, nostalgic piece. It’s a charming film but not one that excited or entertained me as much it has others. Those that enjoy romantic or musical films will find much more to embrace here and will, undoubtedly, rank it higher than I have. I can’t argue with that and I can’t say it’s a bad film. I appreciated it for what is but musicals in general don’t really have me singing from the rooftops. Trivia: Emma Watson turned down the role of Mia due to scheduling conflicts with Beauty and the Beast (2017), while Ryan Gosling turned down the role of the Beast in that film to appear in this one. Coincidentally, both are musicals. This entry was posted on February 22, 2017 at 9:50 pm and is filed under Drama, Musical, Romance with tags 2016. You can follow any responses to this entry through the RSS 2.0 feed. You can leave a response, or trackback from your own site. Ah good on ya for telling it like it is Mr. Sir. I was underwhelmed by the “chase your dreams” narrative. It was so much more compellingly interrogated in Chazelle’s previous film. And Whiplash had the added bonus of turning jazz music into a goddamn rock concert. That movie ruled. La La Land is good but I think Whiplash was brilliant. Yeah, I’d agree, man. Whiplash was much more impressive and gripping. I could see the quality within La La Land and can appreciate why a lot of people have swooned over it but it wasn’t really for me. Decent but not great! Nice review Mark. 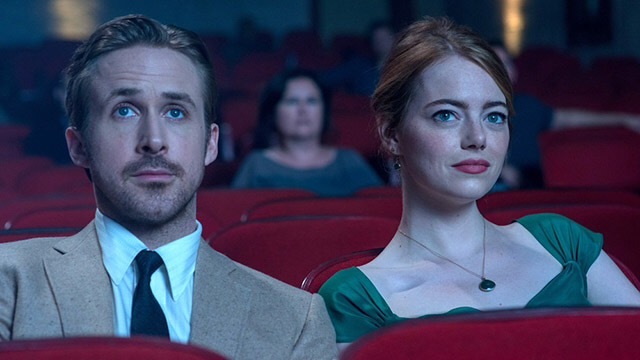 While I do agree that La La Land favored style over substance, I found it difficult not to enjoy the film. 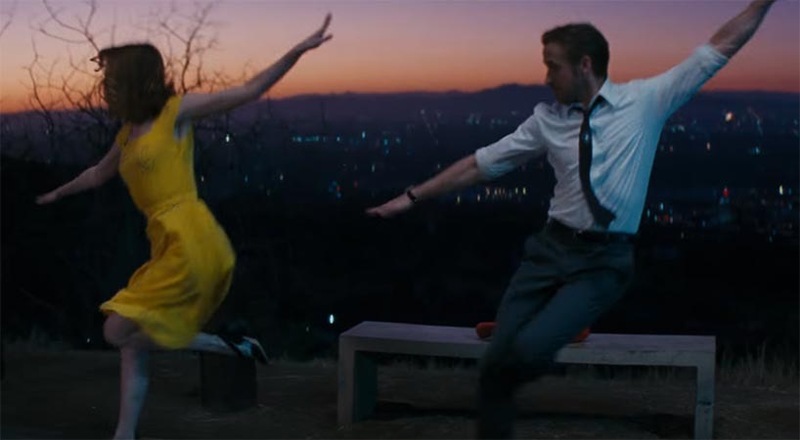 I’m not a musical fan by any stretch but La Land Land was just a pure joy to watch for myself (it may have helped that I saw the movie after returning from a trip to L.A.). Although I think Whiplash is the superior picture, La La Land shows that Chazelle is one of the best new talents working today. Cheers man. It certainly does show that Chazelle has a lot of talent. I was actually very impressed with how the film was structured and shot but I got a bit bored half way through. Take half an hour off and I reckon I’d have been more engaged. Yeah, I’ll probably give it another chance Vern. Hopefully it works better but there’s no doubt that I felt it was overlong. I can also see why the Oscars have lavished support on it but, you’re spot on, the screenplay wasn’t very good. It shouldn’t have bee nominated for that at all. Excellent work as always! Still something I would like to see at some point – all you hear about is La La Land nowadays. Cheers Zoë. A lot of people love this film. There’s no doubt I’m in the minority here. But put romance and musicals together and I automatically tune out. There’s plenty of impressive things going on but it bored me after a while. Mark, love the honesty. Chazelle is great in my book –I adored Whiplash and liked La La Land for the Jazz music. It’s a beautiful film but can’t touch West Side Story as best musical. I had to be honest, Cindy. Like I mention, it’s hard to be unkind to the film but I really didn’t catch on with the buzz surrounding it. I was a huge fan of Whiplash too and, despite not really liking musicals, I have seen much better than La La Land – West Side Story included. I think I was a bit taken aback by how it all became like a Ryan Gosling indie pic there for a bit rather than a musical but I admire the ambition of it. Nice review and your daughter is a budding wordsmith. I admired its ambition too, Lloyd. There was a lot I was impressed with but, ultimately, it was the story that I found the biggest fault with. It was generic romantic material and it dragged on far too long for me. So much so, that I tuned out after a very impressive first half. Yeah I’ll be very surprised if it wins an Oscar screenplay. I don’t say that to be mean, the script is not terrible but the consensus seems to be that it is not as strong as say the cinematography. Yeah, I totally agree. The cinematography is beautiful and Chazelle’s direction is very impressive but I don’t even think it should have been nominated for its screenplay, let alone win it. I thought the chemistry with them was ok but I see what where you’re coming from. The musical numbers never really grabbed me either but it was the length and how drawn out it was that irked me most. I love this one. It makes my heart sing. Glad to hear it, Jay. I just wish I could say the same. Thanks Courtney. There’s not many of us out there. It seems that the masses have lapped this up and it looks likely to grab quite a few big Oscars. It’s a shame when mediocre material makes such a huge impact. It wasn’t the strongest year, honestly, but we can both agree it was a great year for indies! Yeah, like most years, it got stronger towards the end but I still struggle to see any real lasting quality. So far, I’ve only given out two 5 star reviews and I even wavered on whether 5 stars were justified. Agreed. Check out my top 10 if you get a chance, and let me know what you think. I’d be curious to hear your opinion! Now I liked this but Best Picture favourite? It’s a safe choice (I much prefer Moonlight – sorry). It’s a lovely film but there are better this year. I enjoyed the balance in your review, you really put a lot of effort and thought into it. And it is refreshing reading this kind of review, when you get a nice feeling of fairness in it. Yeah, I have to give credit where it due. Even if I found the film to be vastly overrated, there were still some positives to be had. I’m the kind of person who attempts to form my own opinion and not listen to hype. But that can be rather hard to do. The hype can always get its claws into you. Even if it’s just to see what all the fuss is about. I don’t like to hold my tongue when it eventually disappoints, though. Moonlight is a prime example of this. I think it’s great that you don’t feel cowed into making something sound better. D’you know, when I started blogging, I was a lot more gentler on films but now I like to just tell it straight. I always try and say how a movie makes me feel. Best to be honest Mark. I’m always looking to do that with my reviews. I used to worry that my reviews leaned to much in a positive direction, but I’ve come to see that I usually strike a good balance. I’m not a hug fan of musicals in general but I could see where La La Land was headed and it dealt with things quite well.